1 But First, What Is Salmon Skin? 2 How To Prepare The Salmon Skin? 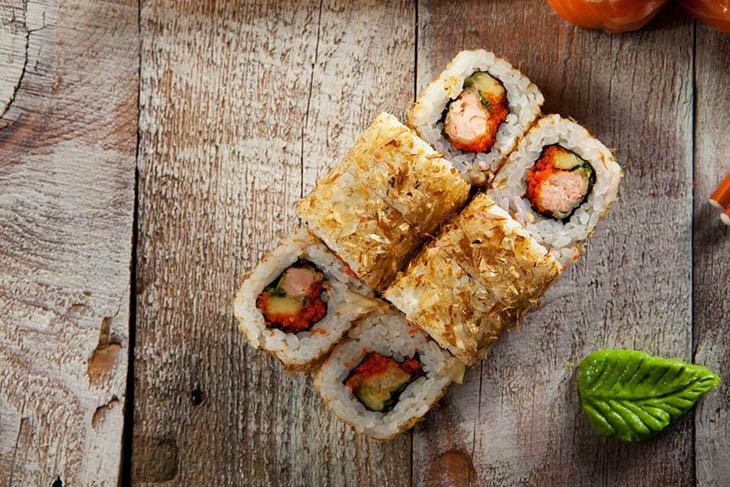 Are you among those people who love Salmon sushi? What about salmon skin rolls? 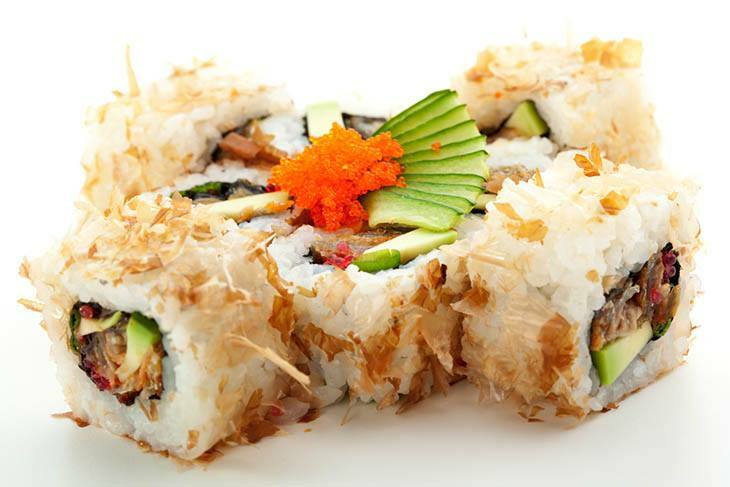 If yes, you might always be visiting your favorite restaurant to enjoy such a delight roll. But, why not make one on your own? 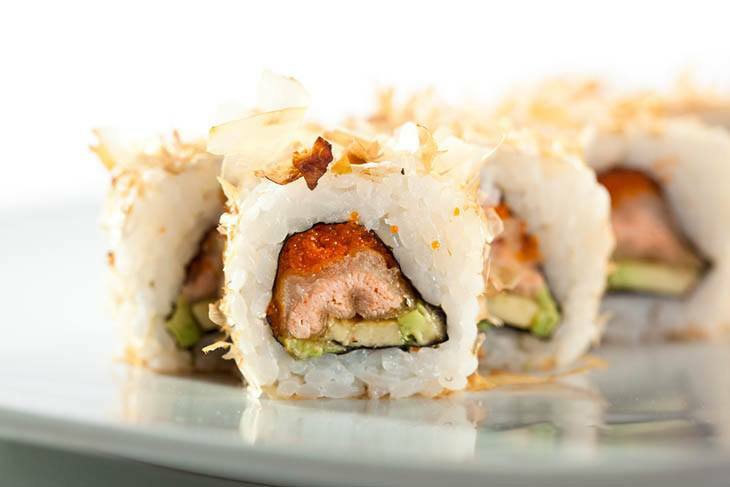 Yes, you could indeed make one that will satisfy your craving for the delicious Salmon Skin Roll we all love! But First, What Is Salmon Skin? In most recipes, the salmon's skin is removed and thrown away. However, you might not have idea that it is loaded with good fats and vitamins. The fatty acids are the same as those in chicken skin so it might not be a great idea to overeat them if you're heart health conscious. Still, considering that you are not going to eat a whole lot of the skin, you should not be too worried about its effects on diet and health. Yes, it could add a bit of fat to your usually healthy diet, but it couldn’t be enough that would lead to a serious matter. Apart from that, there is also a need to remember that fish indeed contain a great deal of fat and most of this fat is considered to be good to you. Salmon also has its omega-3 fatty acids that are present in its skin, so if you eat its skin, it will also be good for your health. Indeed, the salmon skin could be a great and healthy addition to one’s meal though it might take some time for you to get used to its flavor. How To Prepare The Salmon Skin? As for the convenience of many, salmon skin is removed. But, it is important that you inquire first at the local fish market. In most cases, a new salmon skin could last up to three months once frozen. You must not prepare it and you just have to keep it in a bag prior to freezing once you will not be using it. As for a better seasoning taste, you might also try sprinkling a shichimi togarashi or a Japanese seven-flavored pepper apart from salt. A furikake could also be used on salmon skins before baking as this would add flavor to the salmon. Once salmon skins are cooked, they could last around to 2 days once kept in a food keeper that is tightly covered at a room temperature. But, it would be great if you will consume the salmon right on the same day that they are made. Prior to making salmon skin rolls, you should leave a bit of food or simply remove the thick portion of the salmon from the skin. Once you plan to fry skins it could emit a strong fishy odor so consider cooking the arrival of your visitors. Be guided by the above-mentioned tips if you plan to make something out of the salmon skin making it taste a lot better. 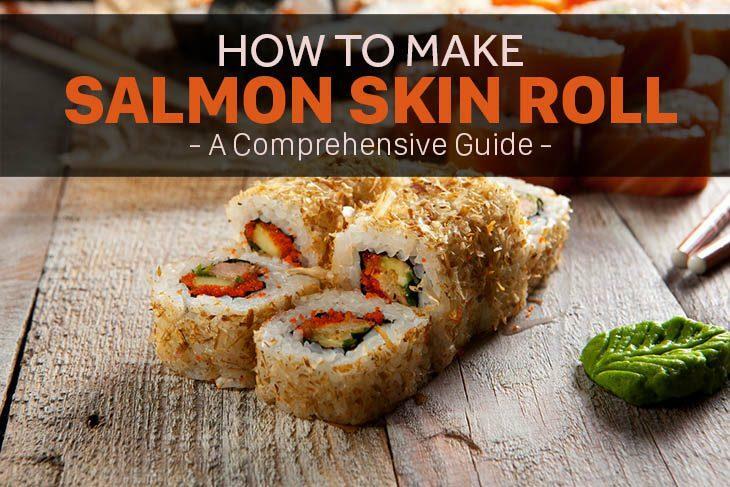 Now, you might be too excited to make your own salmon skin roll. With that, you should be guided by the right ingredients and equipment needed along with the steps on how to do so. Begin with chopping the avocado in two and remove the seed with care for you not to damage the two halves. After that, peel the skin off and take care not to damage the half of the avocado again. If peeled, slice the avocado to thin ones or 1-2 mm in thickness at the same time keeping the half avocado into a piece. You must use a sharp knife and keep the blade wet through dipping it into the water allowing the avocado to slide off with convenience. And the trick here is to slice then press this slice against the other slices once pulling the knife out so this would make the new slice stick to the others you simply cut. Remove the salmon skin from the salmon fillet. 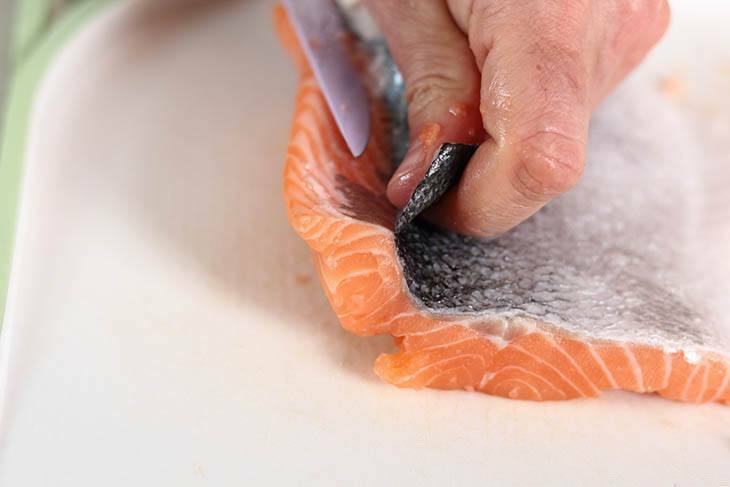 Then cut the skin off through placing skin side down and firmly putting your hand on the fish while dragging a sharp knife leaving you a beautiful cut of the fish and the salmon skin but you should also leave about 0.5 cm of the salmon flesh being attached to the skin. Put the salmon skin in the non-stick pan having no oil then allow it to crisp and turn around if it is crispy. After that, break it up into pieces then add a sesame oil in one teaspoon, stir and allow it sizzle for a minute. After a minute, add four tablespoons of the sweet chili sauce. Wait until it becomes tangy and set aside up until needed. 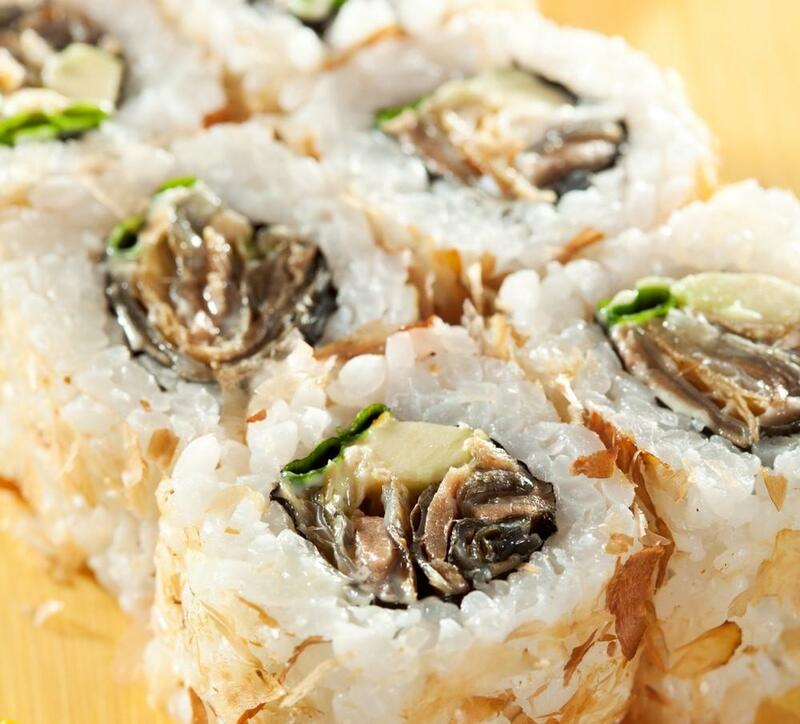 In terms of rolling the sushi, you need a bowl of water for you to dip your hands as this would prevent the rice from sticking to your hands. Put about a handful of rice in the center of the Nori sheet then softly spread it out across the Nori sheet leaving a blank space like 1/3 of the said sheet. Put a sheet of the cling film above the Nori and the rice, then flip the cling film and the rice Nori over together putting the rice being enclosed part upside down near you having the blank space away from you. Now, place the paprika strips and the crispy salmon skin at the top of the sheet over its blank space. Now, turn the Nori around with the cling film and place the ingredients above the blank space. Start rolling through bringing the top up and over the filling and press it in towards the filling with the use of the bamboo mat. Detach the mat just a bit with the cling film and roll it forward. Apply some pressure to it. Simply repeat the process up until you made the roll. Open the cling film. Put some mayonnaise on the seal of this roll. Spread the sliced avocado into your hand in order to make it longer. Then place the avocado on the roll over the mayonnaise, re-seal the cling film and also place the mat over the avocado at the same time applying some pressure as for gluing the avocado to the roll. Now, slice the roll with the cling film, cut the roll into seven to eight pieces and an addition of two end bits. You might consider a Japanese sushi knife as for cutting since this would make or even break the sushi roll. And finally, finish the roll off through splattering some sweet chili sauce over and also a small amount of fish eggs on every piece. There are also other methods on how you could make such a great roll from salmon skin like this one. Simply follow the steps and you will definitely end up having a delightful roll of salmon skin. 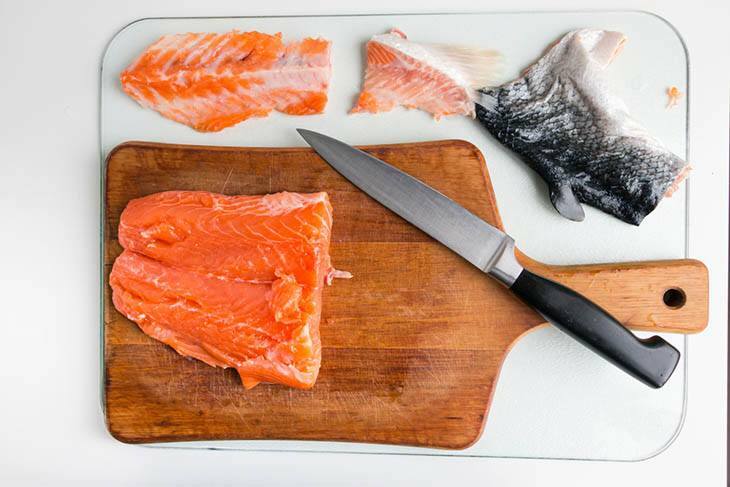 If you choose a healthy salmon to eat, you should also know how to properly store it. 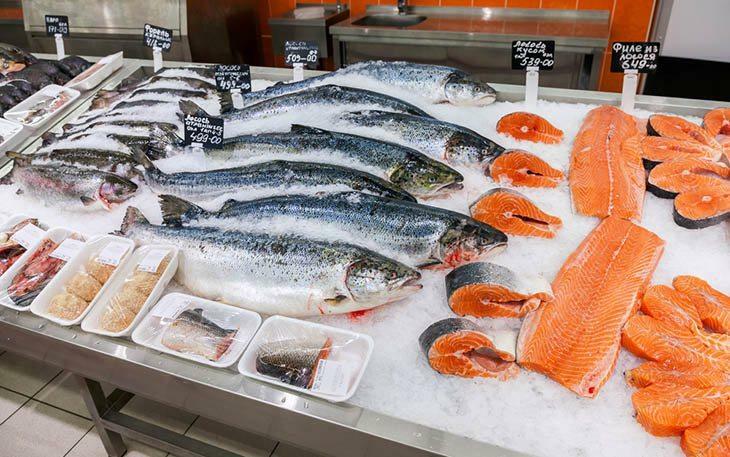 Salmon must be stored in the coldest part of the refrigerator like the meat drawer or at the lowest shelf in the fridge’s back. Indeed, being guided by this essential information you will definitely come up with t﻿﻿he b﻿﻿est and delicious salmon skin roll on your own. For Salmon-Skin Sushi Rolls Recipe along with the needed ingredients, watch this. Share us your experience about this delightful recipe through posting your comments below! Like and share the article as well!